This durable nylon flag sports a canvas header and two brass rings for easy display and is intended for outdoor use. Made in the USA. "On Sept. 13, 1775, Colonel Moultrie received an order to take Fort Johnson, South Carolina. He had this flag made, for the troops wore a silver crescent on the caps inscribed 'Liberty or Death.' 'This was the first American flag displayed in the South,' he said. 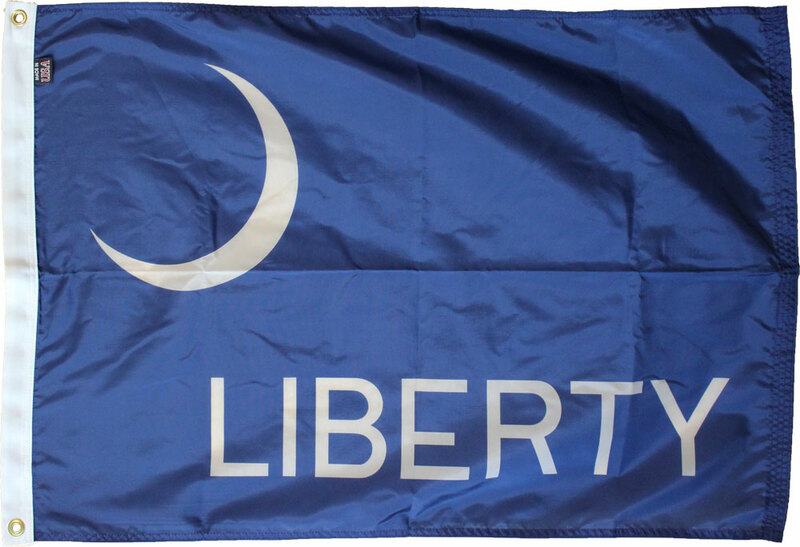 On June 28, 1776, the crescent flag, with LIBERTY across it, was raised at his defense of Sullivan's Island, later Fort Moultrie.